My father defined our trade quite simply, --we try to convince someone who does not want to sell, to sell, and someone who does not want to buy, to buy. That could never be more true than today when everyone with a collection wants to hold on for a better selling climate and those who wish to collect have no expendable cash! We travel, we look, we schmoose (gab) and we hope. Often we fail in our attempts to bring a buyer and seller together but once in a while we succeed, and that is a day to celebrate. My father and his cousin Rosenberg always celebrated twice. Once when the client said, “I’ll take it” and again when the check actually arrived. That is another thing that is more true than ever today. In the old days if a client said they would buy something you could literally bank on it. Unfortunately, that is not as true any more . It used to be a pretty small art world. Everyone knew everyone. My father believed that if anyone collected in our fields they had to visit our gallery, not necessarily buy, but check out what we had. 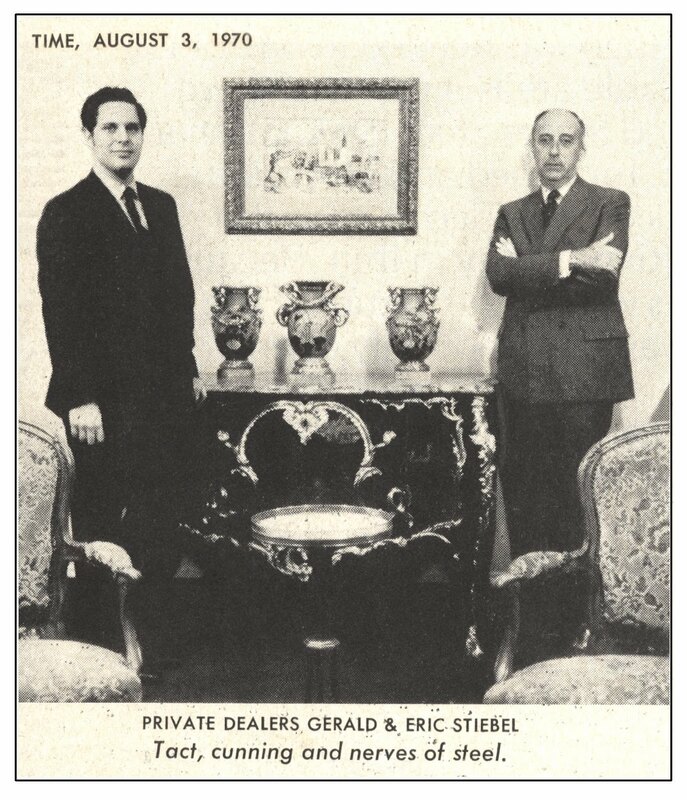 Klaus Perls the renowned art dealer used to say, “I have never sold anything in my life. Once in a while I have allowed someone to buy something”. From an old fashioned dealer such as myself it makes a lot of sense. We want people to come by our galleries and fall in love with a work of art. Only after that am I there to consummate the acquisition. Today, the art world is bigger. There are many more art buyers (if not collectors), there are many more art dealers, and the auction houses greatly influence the market. A good friend and art dealer colleague who studied a different field at Columbia University has said to me that he is jealous of my art history degree. I have countered with how jealous I am of his business degree. Which one is more important? I believe that today, probably, the business degree is more important. 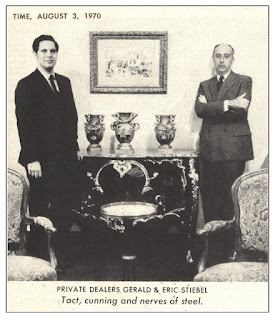 As a matter of fact some of the most successful art dealers have MBA’s. When I was doing my MA at Columbia I asked a professor about continuing on for a Phd. He asked “Why? You can learn more in your gallery in 2 months than here in 2 years”. Now, while this might have been a bit of an exaggeration, on the job training in the art field is possible. Business formulae are much more difficult to master without the discipline of a scholastic setting. Thank goodness, museum curators are still being trained as art historians. Increasingly, however, the prerequisite for a museum directorship is a degree in business administration, yet museum directors still make the ultimate decisions of what acquisitions will go to the trustees for approval. There are few who are strong in both art and administration. . We have recently lost two such directors, Philippe de Montebello who retired from the Metropolitan Museum, and the late James Wood, named President of the Getty Foundation after retiring as the Director of the Art Institute of Chicago. Happily the Metropolitan picked a new director, Tom Campbell, the old fashioned way, from the curatorial ranks. From the art dealer, both more scholarship and more business acumen are demanded. I think that the former is a great improvement in our trade. Our clients want to know more about the art that they are buying. We have to be able to supply the latest scholarly information available. The complicated, protracted, deals that have become the norm are alien to the world I grew up in. Yet the art dealer today must be able to handle both.